Clove oil has a variety of health benefits. The oil is primarily used for its antiseptic and antifungal properties. The oil is taken from the flower bud of an evergreen tree and is used for a number of ailments. 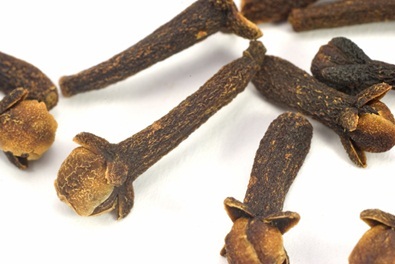 Ancient civilizations used clove extensively for medicinal purposes, but it is strong and should never be used full strength, either internally or externally. The oil should always be diluted prior to use. Clove tea can be made from the oil by simply infusing it in hot water. Extensive use in dental care. The antibacterial and antiseptic properties of the oil mean that it is of benefit when suffering from toothache, sore gums, or other dental problem. A diluted solution of oil of clove makes an ideal gargle for a sore throat. The aromatic oil can combat bad breath as well. A number of dental products such as mouthwash and toothpaste contain clove oil. The oil can be used to treat and prevent infections. It can be applied to wounds, athlete’s foot, and insect bites to soothe and heal the conditions. It must be diluted first, and those with sensitive skin may suffer a reaction. The antiseptic properties can be beneficial for acne sufferers, and clove is often used as an ingredient in skin creams and preparations. Clove essential oil can ease the symptoms of stress. It can lift the mood, combat fatigue, and stimulate brain activity. By easing stress it can help to achieve restful sleep. It can be used to treat mental issues such as depression and memory loss. The oil can be mixed with salt and massaged into the forehead to relieve headaches. It cools the head and relieves the pain. A similar mixture can also be used on other aches and pains. Its anti-inflammatory properties can help to keep the respiratory system functioning well and acts as an expectorant. As such, it is a useful remedy for colds, coughs, asthma, and bronchitis. Warmed oil of clove when combined with sesame oil is a good treatment for earache. It can often help with digestive problems, such as indigestion, excessive gas in the digestive tract, and travel sickness. Clove essential oil can be used to ease morning sickness. Oil of cloves can boost metabolism and therefore improve circulation. It also has the ability to cleanse the blood. It can boost the functioning of the immune system, enabling the body to fight disease and infection. The oil may be useful to diabetics, as it does have a controlling effect on blood sugar levels. The oil can be blended with a number of other essential oils, but always seek the advice of a qualified aromatherapy practitioner before blending oils yourself to ensure you get the best results. Pregnant women should seek the advice of a doctor before using clove oil. Large amounts of clove should not be given to young children.